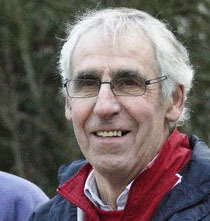 Richard is a well respected figure at the club and has been with us for over 25 years. In that time, he has been chairman of both the junior and now senior section of our club. As well as his chairman responsibilities, he is also the club groundsman, programme editor and resident quizmaster of our bi-monthly quiz nights! Colyn is an integral part of the committee and has been with the club for many years, a former manager and assistant manager of the senior teams, he is now vice-chairman of the club. He is also our resident comedian at presentation evenings! 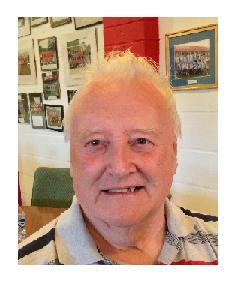 Derek is a founder member of Risborough Rangers after he and Tony Elsey founded the club in 1971. He has watched, supported and even managed the club in its 40 years of existence and is still an active member of the committee today. If you ever want to hear stories about the clubs past, Derek's the man to talk to. Sally joined the club in early 2010 as public relations officer and has influenced the club in a positive way. With her experience in sales, she is key to advertising and club promotions. On top of that, Sally organises many of our events and you will also find her in the tea bar on most match days! 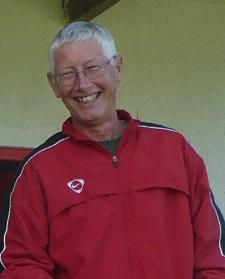 Nick is club and football secretary and has a vital role in our relationship with the South Midlands Football League. A keen football man, 'Bish' has played for both the first and reserve teams as well as managing the Reserves for a number of years. If you don't see him supporting the club on Saturdays, he'll be in Manchester cheering on the mighty blues! Won the Spartan South Midlands General Secretary of the Year Award for Season 2010/11. Pete joined the committee in the summer of 2012 in the capicity of maintenance manager. He carried us through the ground grading for Windsors, which now officially carries a 'G' grading. Bob joined the committee after serving as chairman of the youth section. His experience at both levels is ideal for his role as Charter Standard Co-ordinator. He is committed to helping the club achieve and strive for bigger things. A vital figure in the backroom staff. From 2014 Bob has also taken on the role of treasurer. Steve is in his second spell at the club having rejoined the committee in 2011. Previously programme editor, he is now responsible for the clubs press within the local community. Steve is a dedicated Wycombe Wanderers fan but attends home and away Rangers fixtures when Wanderers fixtures allow!